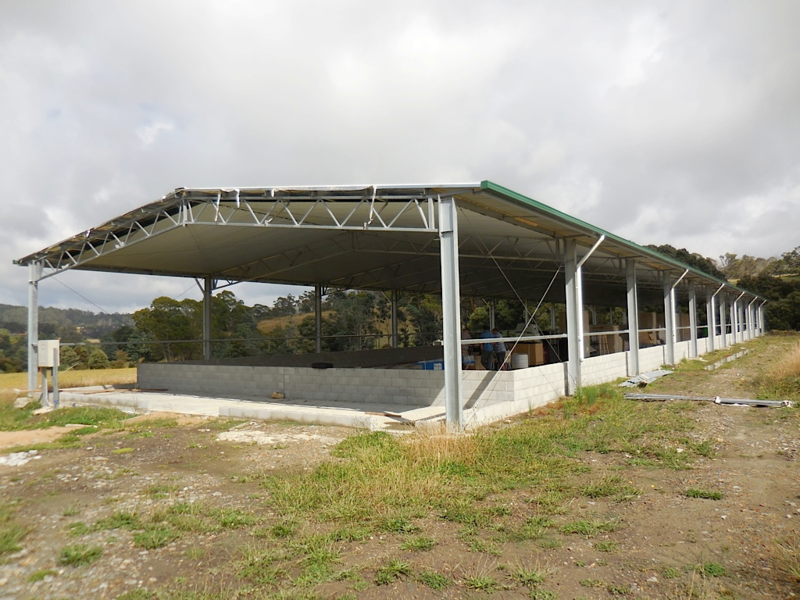 Mr Chris Olson, of Olsons Eggs, Karoola, Tasmania, has recently completed self-installing a new Potters Poultry AVINEST layer system for 7,300 free range layers in a new purposed built shed measuring 70 x 13 metres. Installed were Potters Poultry single tier rear rollaway centre belt nests. The shed was 100% slatted for the shed bird area and feeding was supplied with two loops of flat chain feeder whilst two lines of suspended drinker lines were also supplied by Potters Poultry. Both the drinker and feed lines were equipped with winch and suspension systems. The centre egg belt has variable speed control and eggs were collected at a central egg table at the end of the shed. The nests are constructed with 18mm marine ply with a rack and pinion nest closing system. The thick 18mm marine ply nest walls enable a good degree of insulation and low noise levels, not easily achieved in competitor nest constructed in metal. All nests are equipped with incandescent lighting, with dimmer and time clock, ensuring hens are attracted to all nests. Special perforated AstroTurf nest pads are used ensuring dust and lint can fall away and eggs are kept clean. Chris Olson was impressed with the way the system is easily assembled. He said that the Potters Poultry plastic floor slats are very strong (3.7 kgs each slat) and interlock on all four sides making then very secure. Plastic slats are supported by modular galvanised steel supports. In Chris Olson’s new shed the birds are able to exit the shed to adjacent outside grazing area via “pop hole” openings on each long side wall of the shed. The Potters Poultry AVINEST system for Olsons Eggs was supplied by Dunogan Farm Tech Pty Ltd.